Turning pens can be a rewarding experience, in particular, knowing that you made something with your own two hands. 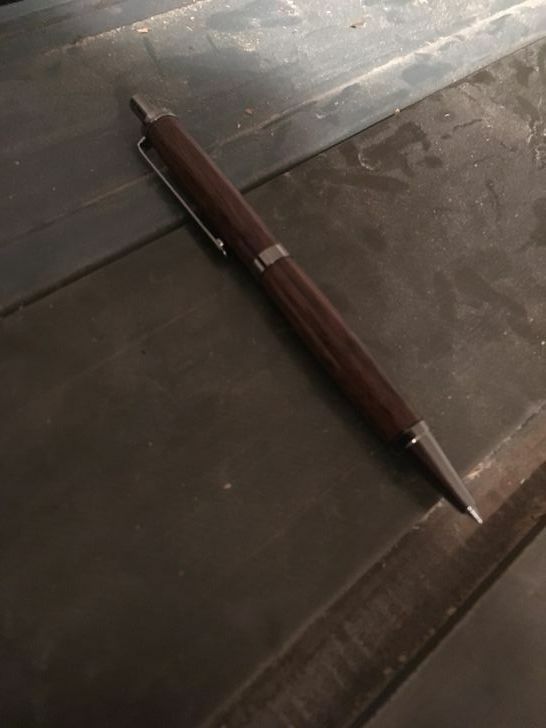 However, making pens can be even more rewarding, allowing you to make something you use on a daily basis and revel in the glory of your craftsmanship continually. With there being a lot of different styles of pens, there is always something new you can create. This article will give you a basic idea of how to make your own wooden pen! Selecting a pen style may be difficult, considering all the different styles available, but it all depends on what kind/size of pen you desire. You could choose a Twist, Click, fountain or rollerball. You need to figure out the size of the pen tube (the barrel that holds the ink and other components). 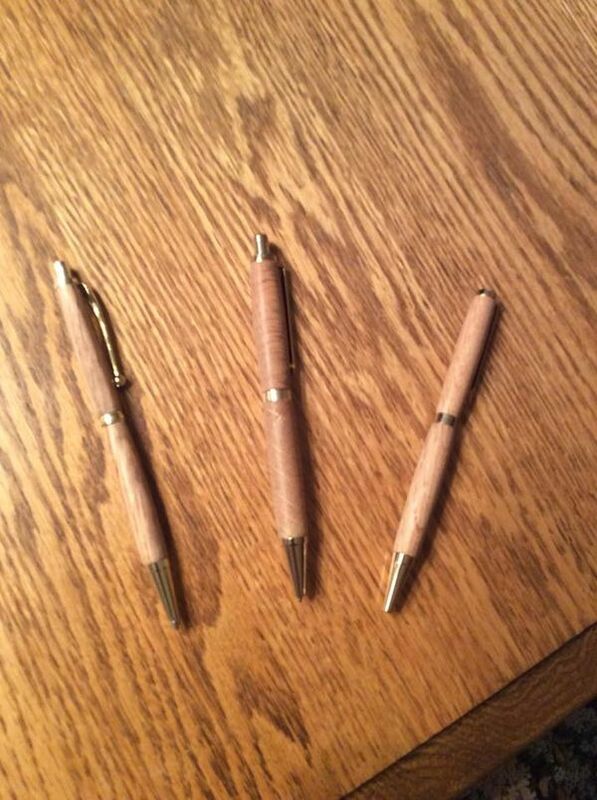 There are multiple types of woods that can be used to make handcrafted pens. You can use domestic woods such as oak, maple and ash or you can use exotic woods to make your pen more interesting. When marking your blank use the brass tubes that came with the pen kit to make sure that the piece of wood that you are using is cut to correct lengths. Keep track if the tubes in the kit are different lengths and how they are oriented when turning and assembling the pen. 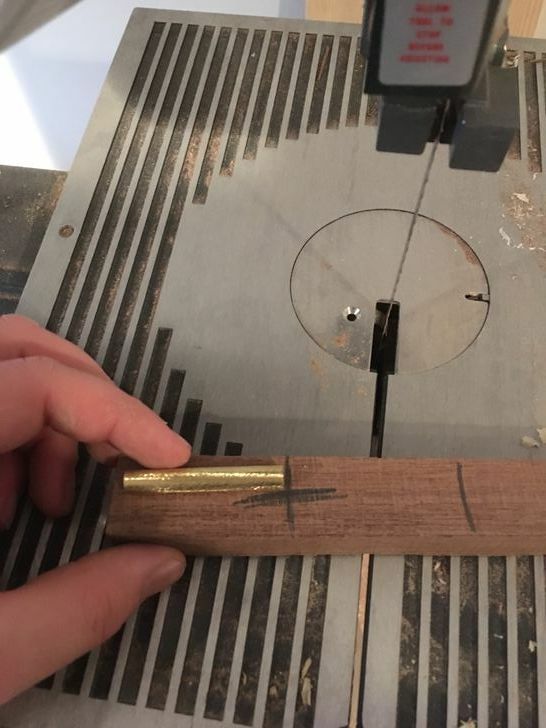 Once you mark the blank use a bandsaw or any other type of saw to cut the blank to the length of the brass tubes. 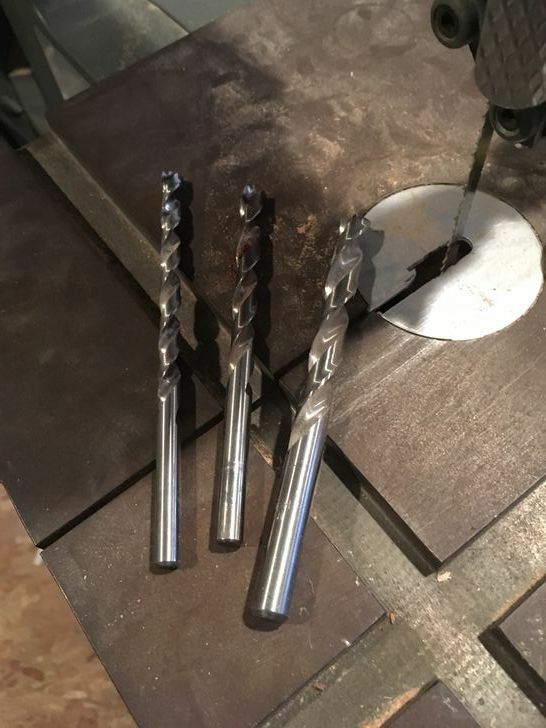 With there being multiple pen sizes, there are multiple sizes of drill bits for the pen. 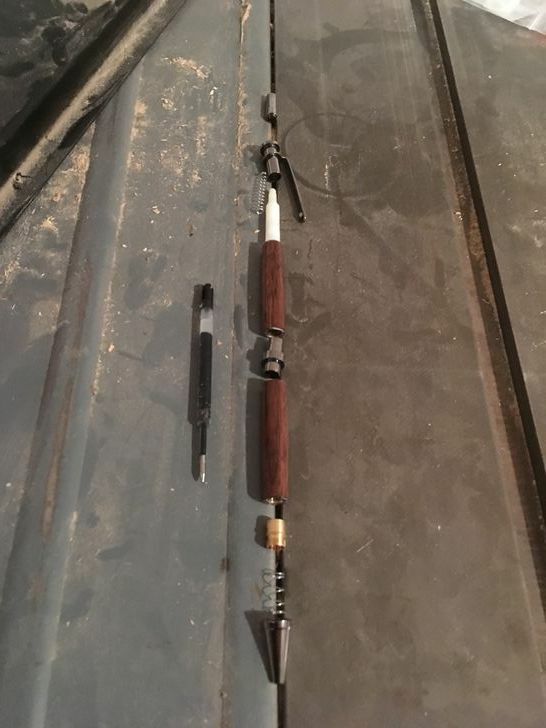 Figure out what size bit the pen takes. Using a ruler or a square mark the center of the blank by drawing a straight line from corner to corner. 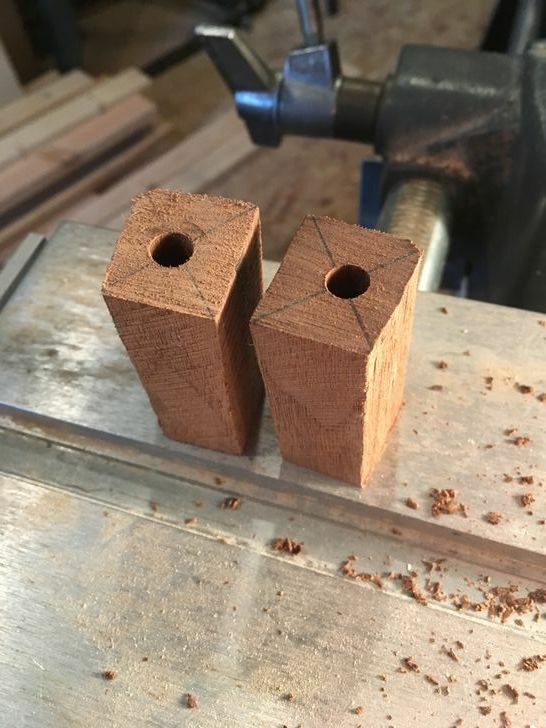 With the drill bit in the drill, line up the tip of the bit to the marked center on the blank.Drill a hole through the blank while trying to keep the bit as straight as possible. Rough up the surface of the brass tubes. 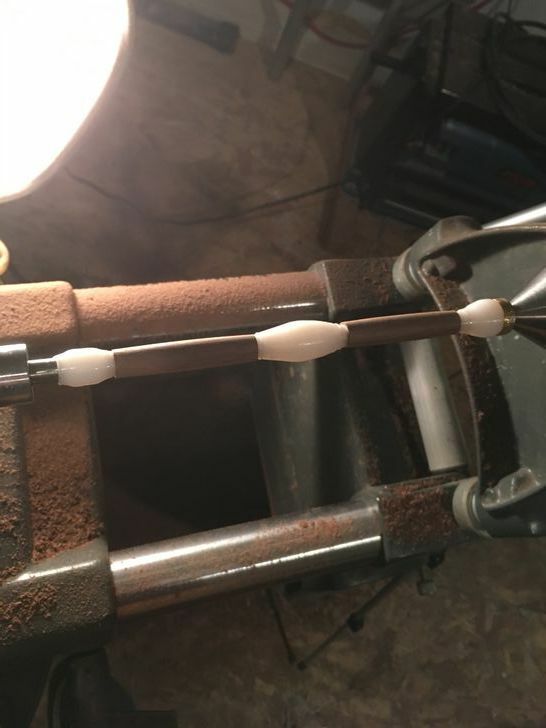 Apply CA glue to the brass tubes and insert the tubes into the blank. Make sure the tube is inserted all of the way. 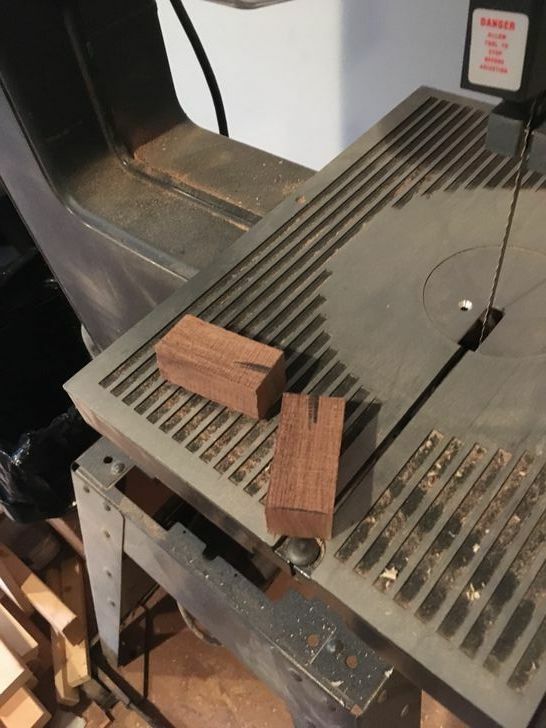 Each pen has their designated pen bushings to help guide the wood worker to know how far to turn the blank to, without going to small. 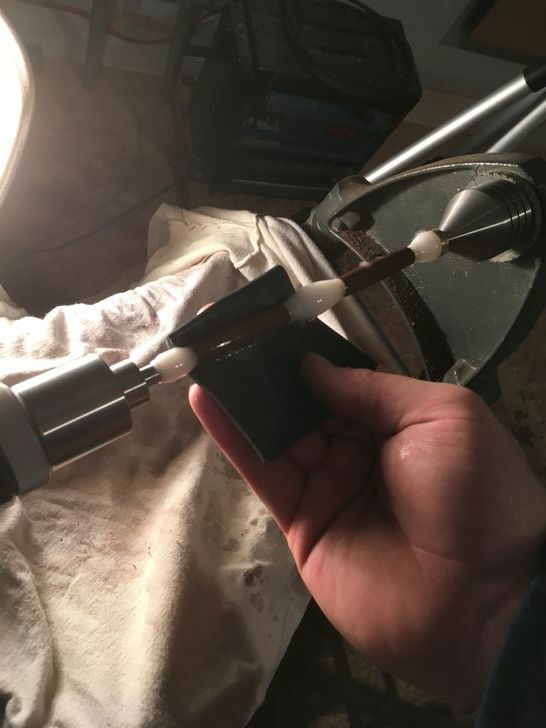 Slide the pen bushings and the pen blanks onto the mandrel in order and tighten the tensioning nut on the mandrel to hold the assembly on the mandrel. 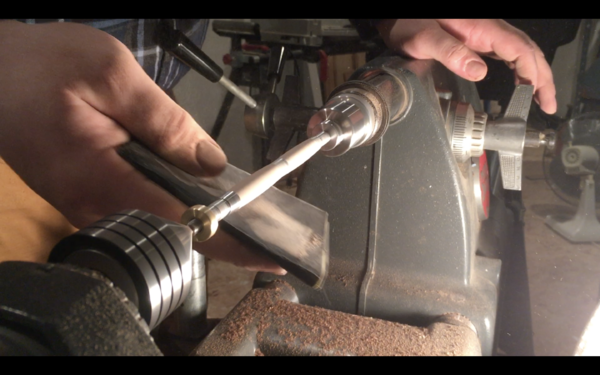 Using your gouge, turn the blank at approximately 3300 rpm-3500 rpm. Turn the blanks to your desired shape till they are just bigger than the bushings to allow fine tuning while sanding. 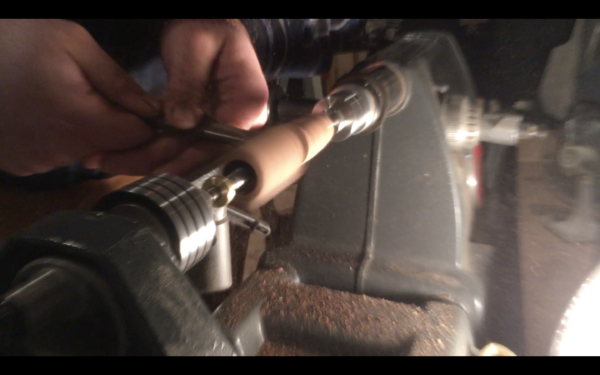 While sanding the blanks, adjust your lathe to approximately 1800 rpm - 2000 rpm. 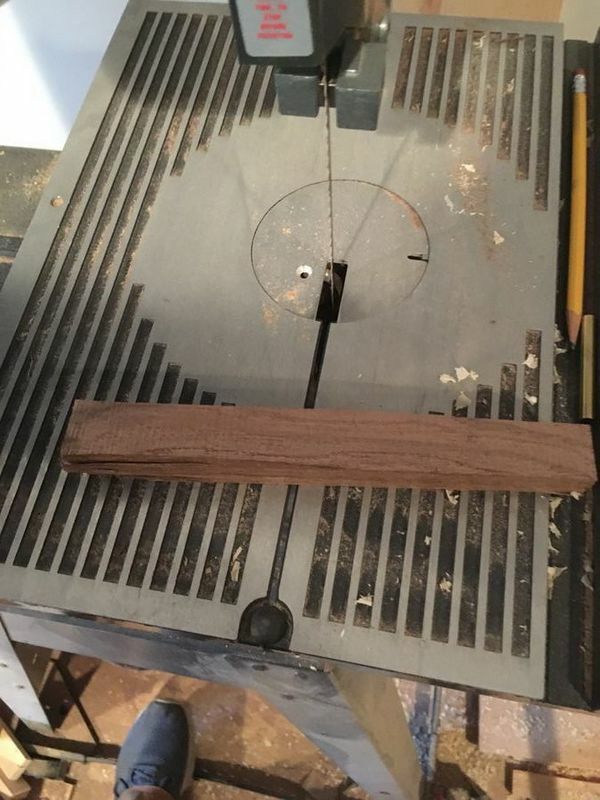 Using grits varying from 80 to 400 grit, sand the blank to where the ends are flush to the bushings. 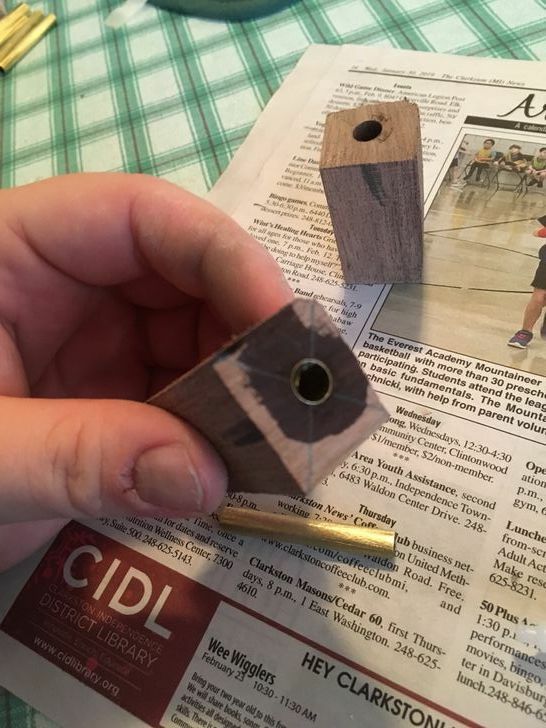 After dry sanding the blanks, remove the blanks and bushings from the mandrel. Making sure to keep the blanks the same way. 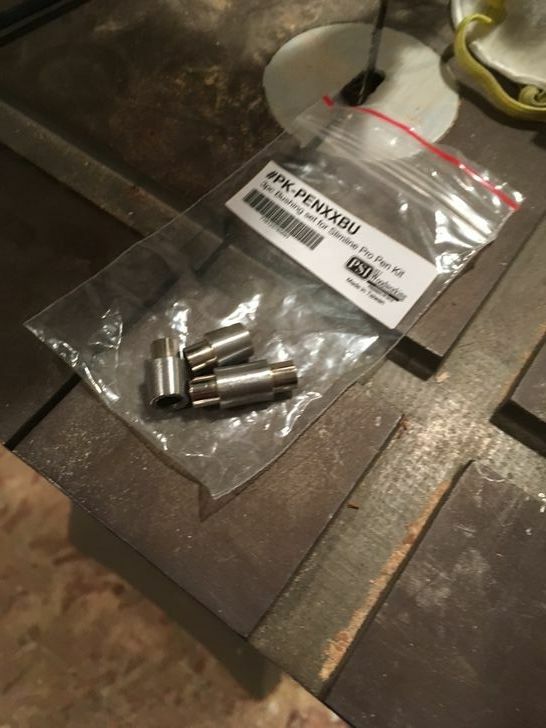 Install the blanks back onto the mandrel with the CA bushings instead. Using gloves, and paper towel, apply 2-5 coats of CA glue to the blanks allowing it to dry in between coats. 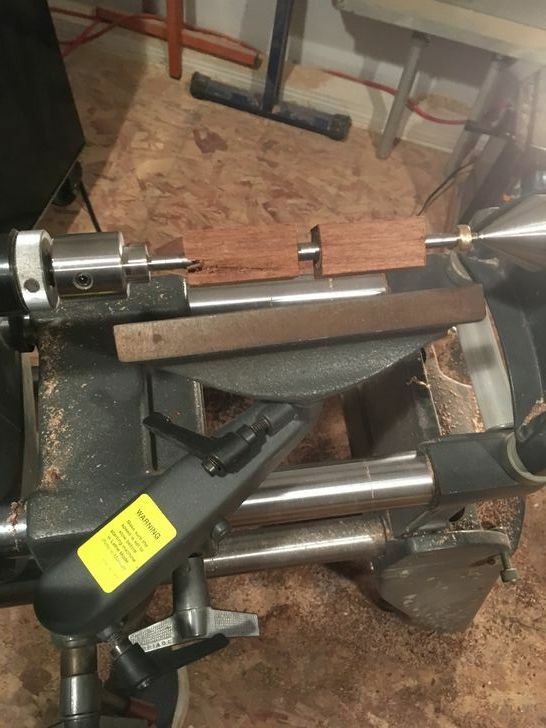 Set your lathe to approximately the slowest speed that the lathe you are using can go. Once you are done with applying the CA glue, Start by wet sanding the blank with grits from 800-12000 grit to give the blank a smooth and elegant shine. 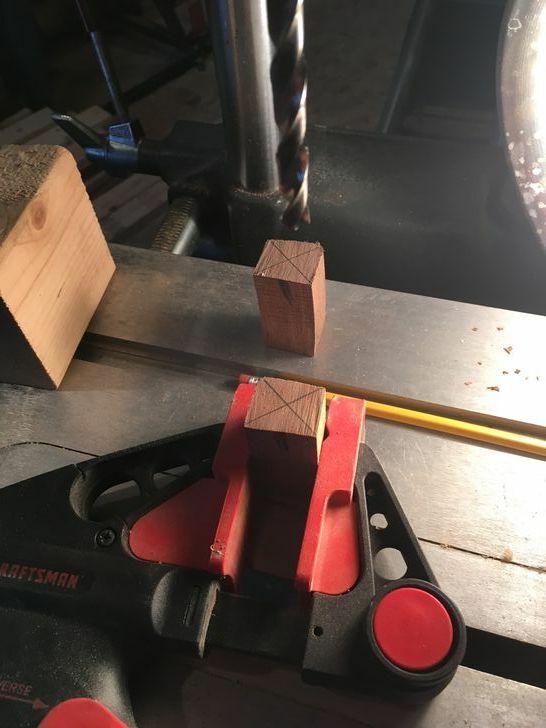 Remove the blanks from the mandrel and set out the parts in the orientation that they are going be assembled on the pen. Take the pieces in the order that they are placed and press them into the tubes to assemble the pen.